If you'd like to recommend any websites, please drop me an email via the CONTACTS page. The following websites are highly recommended! The Cambridge and Oxford Owners Club. Another good parts supplier, specialising in Farinas. Specialists in suppling rubber & trim for classic and contemporary cars. 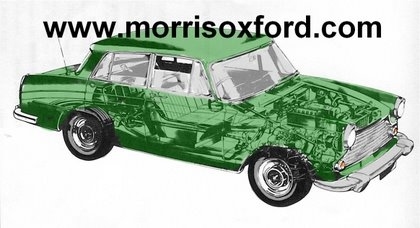 The unofficial Austin Rover web resource. An encyclopedia of Austin Rover cars - well worth a visit. AEMC can supply most BMC paint in different formats - spray, brush etc. Frost are a suplier of classic car tools & restoration equipment. Insurance brokers who provide instant online quotes and cover for owners of classic cars. Discounts available for Classic Car Club members.